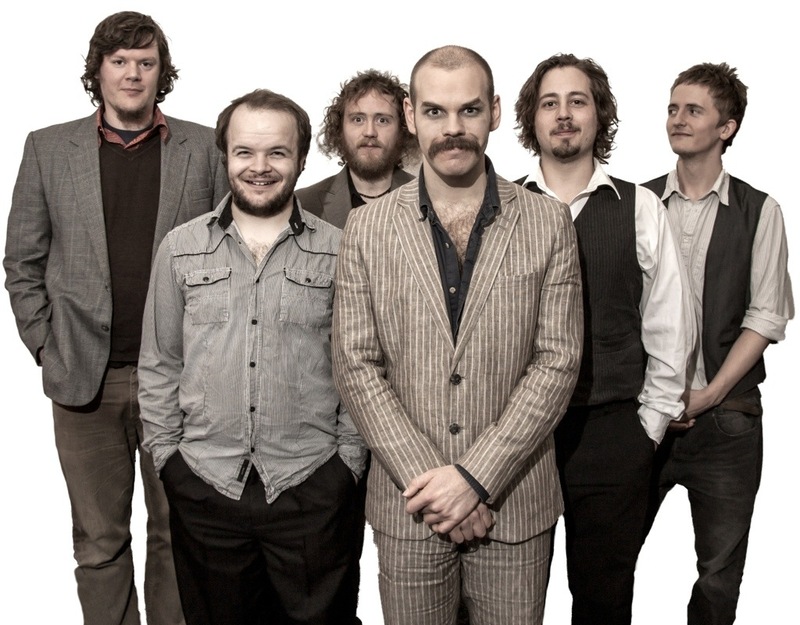 The Bedlam Six gig calendar is disconcertingly bare. It hasn’t had this much empty space on it for at least five years. We will be announcing new live dates soon but for the next few months I’ll be donning my “sensible label director” hat and working on the preparations for the Debt Records fifth anniversary celebrations alongside my co-directors Biff, Dan and Gemma. More news about that soon. 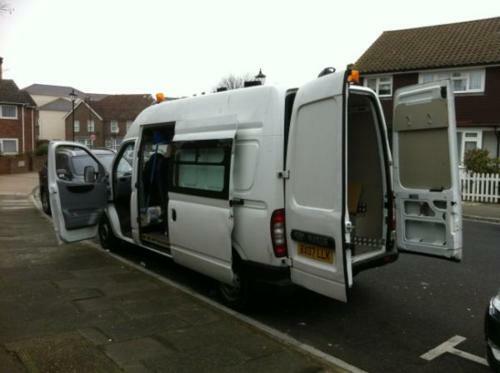 That’s not it for Bedlam duties though; we have some new music videos planned and will be starting work on arranging/demoing the songs for the next album in the coming weeks, so there should be no shortage of updates here and on our various social media nodes (even if Bessie our tour van is having a much deserved rest!). If you haven’t yet listened to our most recent album “Youth” there is an entire website devoted to the record at www.bedlamyouth.com where it can be streamed and/or purchased in its entirety (plus there’s all sorts of information about the studio sessions and stories behind the songs scattered about the place). On behalf of all ungrateful sons, Happy Mother’s Day. 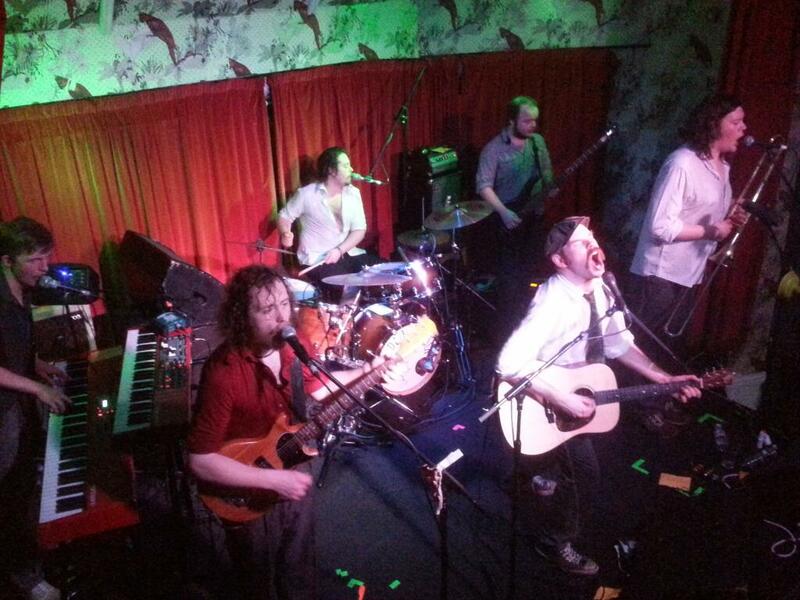 Last night’s Manchester show was a real joy. Great, responsive mixed crowd and just the right amount of happy accidents and sore joints by the end. Here’s a photo taken from “the royal box” by Andrew Loynes. 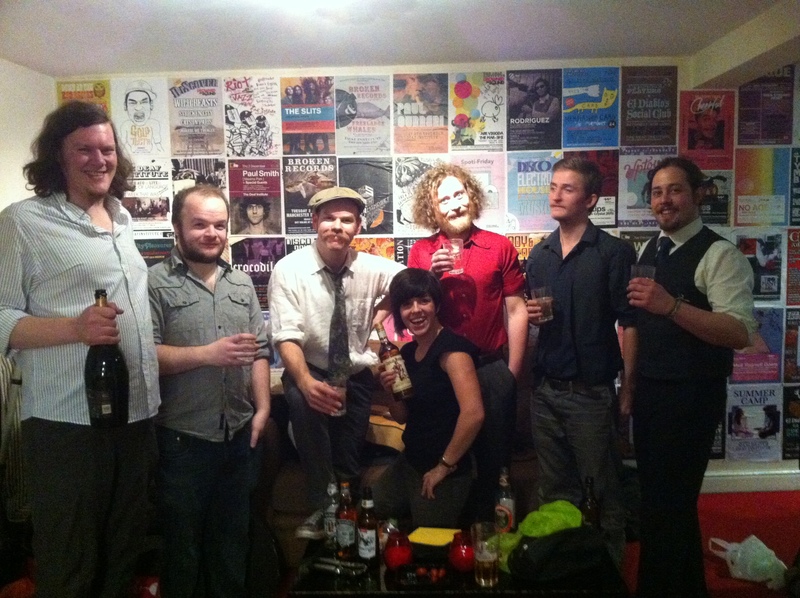 And here’s one of us backstage with our friend Becca Williams (who was also our exceptional support act). 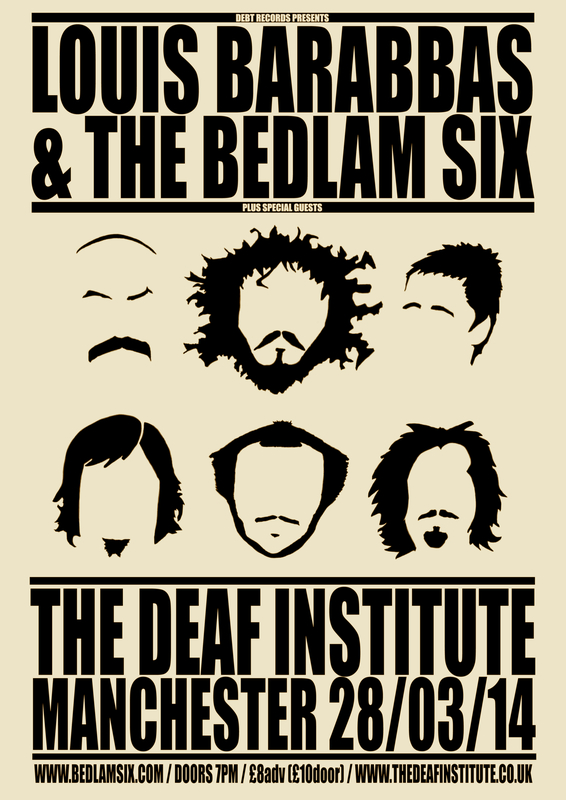 The Bedlam Six’s final UK album launch party (for this album anyway) will take place this Friday (28th March) at Manchester’s Deaf Institute. Support comes from my good friend Becca Williams. Entry is £8 advance and £10 on the door. Tickets and event information can be found on the venue website. The logic of this decision was, with hindsight, perhaps a little questionable. Yes there’s a certain poetry to one album segueing directly into another but, practically speaking, no musician is ever at the height of their powers after a stint on the road. I’d already lost my voice once while on tour and a good half of the band hadn’t slept for about three days straight. But if there’s one thing I’ve discovered about such poetic gestures (or “PR gimmicks” as some people call them) it’s that they have a habit of bringing out the best in us. This little project was a lot of fun. For us the first stage of any recording is to lay down some good quality demos that we can later listen back to and start forming concrete arrangements for. 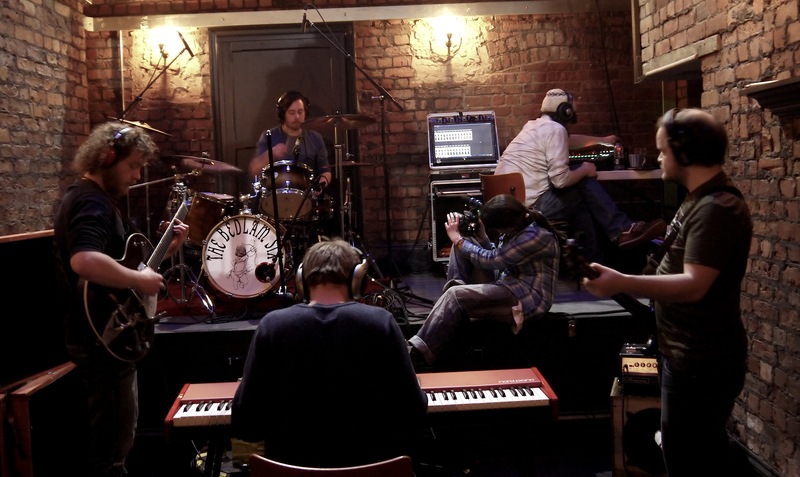 Once we’ve got the guts and general character of a song in place we can get a better idea of its final incarnation. Our audience tends to only see/hear the finished version so we figured it’d be interesting for people to witness these formative stages (where we decide on tempo, argue about harmonies, work out solos etc). Our label Debt Records is always harping on about making these processes more transparent so we agreed to be the guinea pigs for a new series of public studio gatherings. Thankfully it was hardly a chore, the location in question was the lovely back room of one of Greater Manchester’s best pubs: Salford’s The Eagle Inn. Even Guy Garvey turned up! The last event in our album release week is nothing to do with our new album at all – it’s where we start working on the next one! At 9pm on Wednesday 5th March the Bedlam Six will be convening for a live stream of new album ‘Youth’ with us providing an increasingly inebriated commentary of decreasingly relevant and accurate facts about the record. You can listen directly on your computer, tablet or smartphone using your browser (Flash is required). Android users can use VLC or a similar media player to listen through a browser. 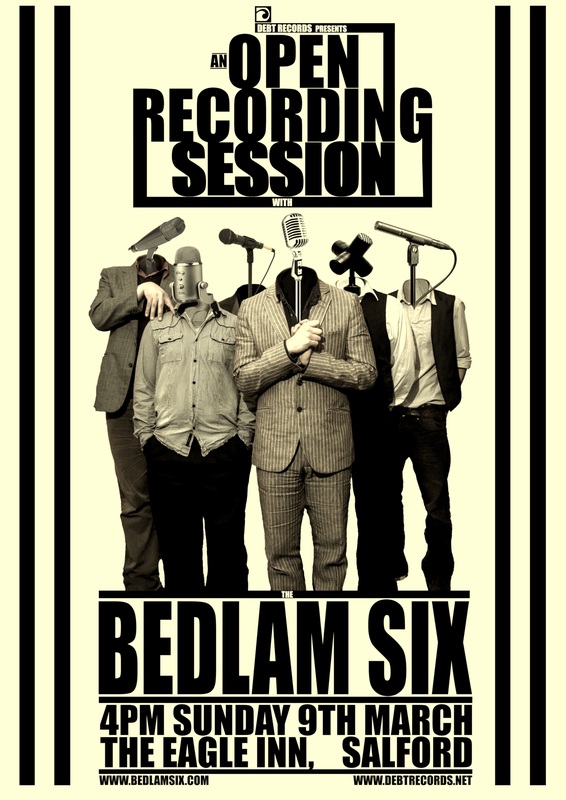 The new Bedlam Six album is now on general release, available as a 12″ vinyl, compact disc and various download formats from the Bedlam Shop and as a collection of mp3s from all the usual digital retailers.